Specially designed to meet the needs of the elderly in residential care it provides a whole range of activities in the creative field. The first book of its type, it builds upon the vast experience of the author and only those activities shown to be successful and enjoyable have been included. 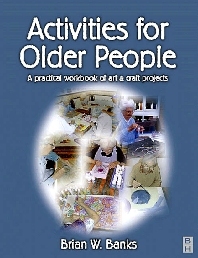 People in a caring situation, who have no experience of teaching or art, can use this book to stimulate and encourage the people in their care. It presents a whole wealth of practical ideas that can range from quick to more long lasting, inexpensive to more expensive. The text builds from basics and there are ideas for anyone to use with many different materials whatever the season or occasion. * A comprehensive list of materials required will be given at the beginning of each project.